Berlin club Griessmuehle to open a new record shop - Dr Wong - Emporium of Tings. Web Magazine. Latitude will open this Friday (February 13). Berlin club Griessmuehle has announced the opening of a new record shop, reports Electronic Beats. Latitude will launch this Friday (February 13) with an opening party – check out the Facebook event here. 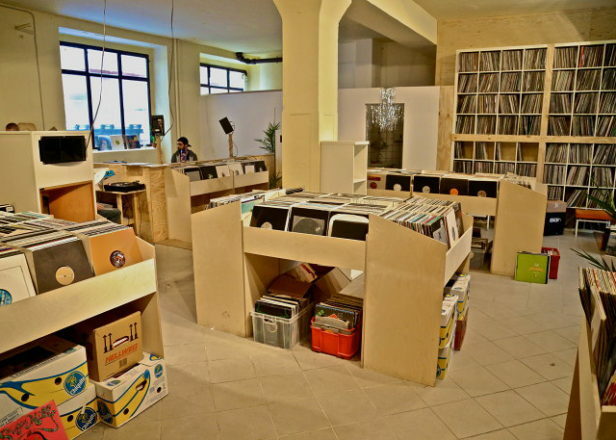 The new record shop is situated a few metres away from Berlin techno institution Griessmuehle, in the same location as the recently closed Record Loft. The Latitude launch party will run from 14:00 CET to 00:00 CET on February 13. The post Berlin club Griessmuehle to open a new record shop appeared first on FACT Magazine: Music News, New Music..